Tesla is finally taking the wraps off the Model 3, its first mass-market electric vehicle priced at an affordable $US35,000 ($45,655). The car is expected to push EVs into the mainstream and reduce carbon emissions around the world. The only downside? Many cities don't have enough charging stations to support widespread adoption of such vehicles. Thankfully, there are plenty of car-sharing services around the world that rent EVs at small hourly, daily, or monthly rates. If you can't afford to buy an EV, or if you just want to take one for a test drive, these services are a great option. They're also more environmentally friendly than buying a car, since they help reduce the number of vehicles on our roads. Here are a few of the most successful EV-sharing programs in existence. This is the gold standard of electric car-sharing. If Tesla is hoping to bring EVs to the mainstream in France, a service called Autolib' has already beat them to the punch. Back in 2011, the program started putting everyday people in the driver's seats of zero-emission cars — and it's showing no signs of slowing down. Paris is crawling with EV charging stations and parking spaces. Source: Autolib' The French government has a stated goal of reducing carbon emissions by 20 per cent by 2020. Enter the wildly popular car-sharing service Autolib'. Its stubby egg-shaped cars hit 129km an hour and give off no harmful emissions. 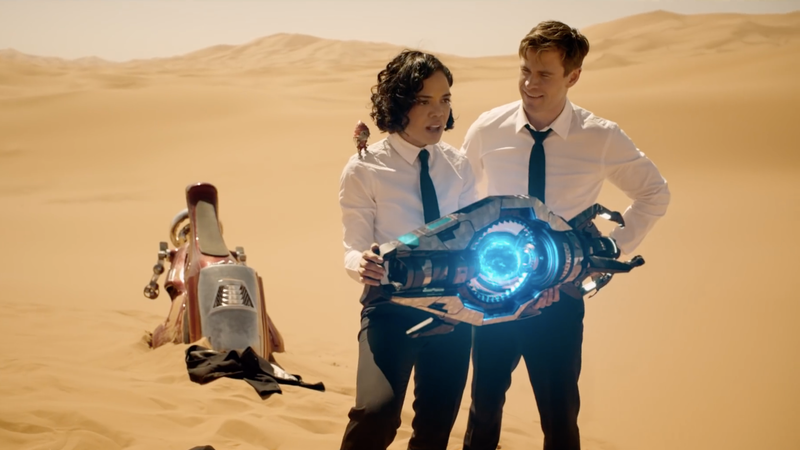 They also have all the amenities of a normal car — like GPS and a radio console — and are completely electric. Just plug one into a charging station and juice it like your phone. Anyone can use the service, as long as they have a European or international driver's licence. 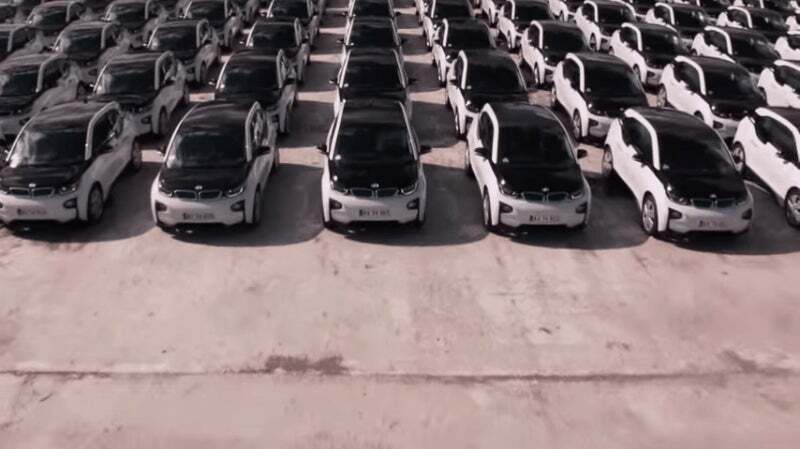 A dizzying 500,000 people have subscribed since the program kicked off five years ago, taking advantage of the 1,000 stations crammed into Paris, and the nearly 4,000 EVs around the city. Autolib' has been so successful, the good folks behind it wanted to export it elsewhere. In 2014, they brought it to London — a city that wants 3,000 shared EVs on the road by 2018. Indianapolis is big enough that a car is necessary for many residents, but it's also small enough that it provides a manageable testing ground for new EV infrastructure. That's probably why the company behind Autolib' picked Indy as its testing spot for a US car-sharing service. BlueIndy is the result of that effort: It's Indy's new EV car-sharing initiative, and it kicked off late last year. The city wants to deploy a big fleet of electric cars to be on standby for all of its residents. It's $US20 ($26) a month, or $US10 ($13) a month if you sign up for a year — which is pretty damn cheap! 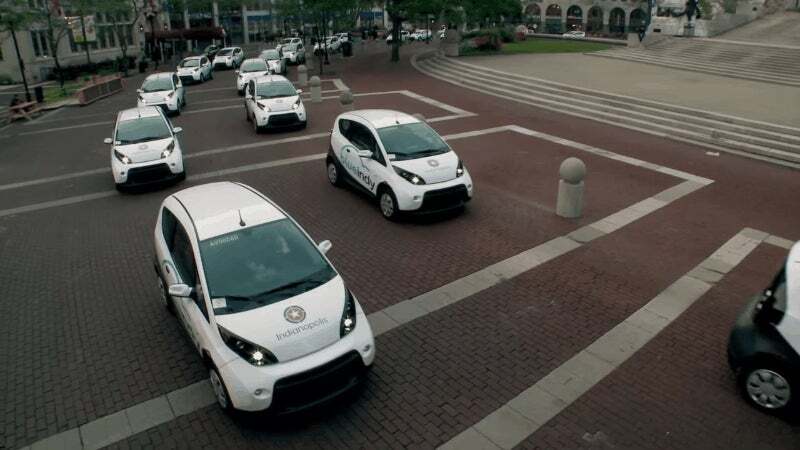 Right now it's aiming for 200 charging stations around Indy, with 500 cars in the wild. Like Autolib', all you need is a keycard that you tap at the rental kiosk. Then hop in the car and go. Over in Denmark, 400 BMW i3 cars are available to Copenhagen city-goers in a program called DriveNow. Like many other electric cars, the BMW i3 is a luxury vehicle — and the BMW's most popular zero-emissions car. Copenhagen is packed to the brim with EV charging stations, too. Why order a Model 3 when you can live in a city that makes communal EV ownership a top priority? Although this EV-sharing startup was born in Denmark, it's since spread to other countries in Europe, including Sweden, the UK, Denmark, and Austria. 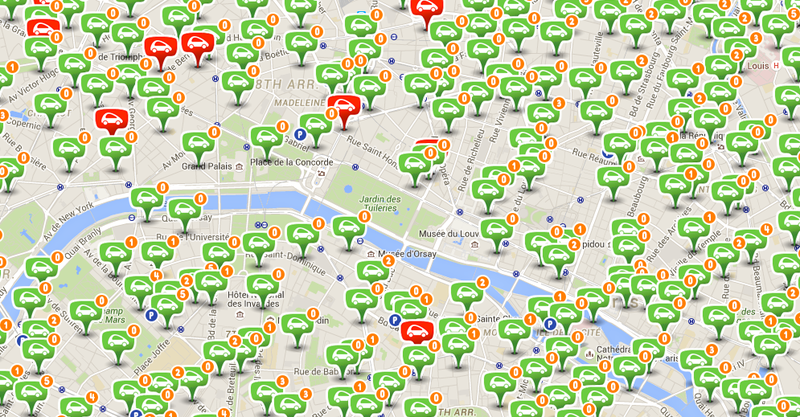 Besides Autolib', France has another successful EV-sharing company: Cité Lib. This one operates out of Grenoble in southeastern France, and covers the city's streets with these three-wheeled, candy-coloured mini-mobiles from Toyota. The company launched back in 2014, after Toyota ran a test program in Tokyo. It started a bit differently than the rest on this list: These tiny vehicles are only built for one passenger. But, hey, it's good for daily commutes and grocery runs. The 24/7 service now sports a handful of different car options, from two-seaters to minivans. 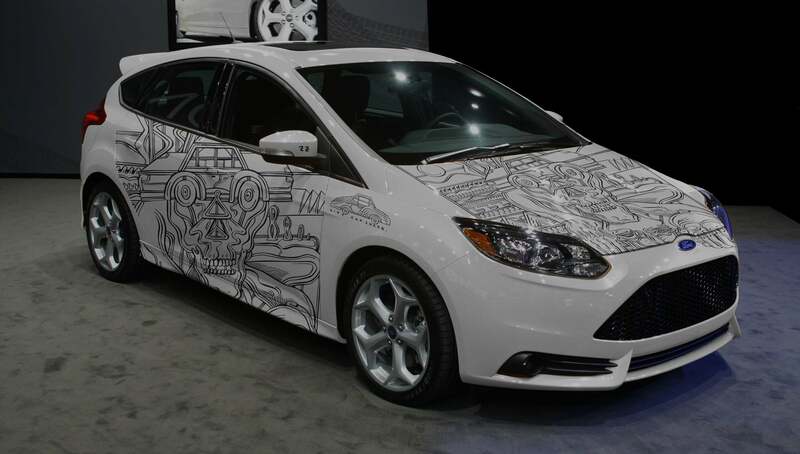 This new startup in San Francisco has taken 400 vehicles, wrapped them in tarps covered in local street murals, and unleashed the rides to the car-sharing public. For six bucks an hour, riders can rent three different models of electric or hybrid vehicles that Carma offers: Ford Focus Electric, Nissan Leaf, and Scion iQ EV. Not bad for a last-minute car-rental service. Los Angeles is bringing an EV-sharing program to its city, but with a twist: It's specifically targeting people with lower incomes. This new car-sharing program is introducing 100 pilot vehicles with hopes that it can recruit 7,000 commuters this year, and wants to deploy 1.5 million electric vehicles around the state by 2025. The program will target disadvantaged communities that are positioned near freeways, refineries, and other heavily polluted areas. The effort is part of the mayor's plans to improve CO2 emissions city-wide. So Why Aren't EV Car-Sharing Programs In More Cities? It's worth pointing out that a few EV ride-sharing programs have gone belly up. Last year, BMW had big plans to launch one in San Francisco — until November, when the city said the plan didn't meet regulations. Car2Go San Diego is reportedly switching from electric cars to gas due to the lack of charging stations. And Project 100 in Las Vegas went defunct last year after it decided to stop buying Teslas to keep the program running. Still, success stories like Autolib' and BlueIndy are successful enough that it could push more cities to join the EV-sharing movement. We just hope that enough people are interested to keep this trend moving forward.